The war between the Aesir and the Vanir. The Troth : The Troth is an international Asatru/Heathen organization that exists in order to celebrate our religious and cultural heritage. Membership in the Troth and participation in its activities is open to worthy folks regardless of race, ethnic origin, gender or sexual orientation. The Kith of Yggdrasil : The Kith is a UK based Heathen organisation concentrating on the spiritual approach to the mysteries of Heathenism. The Kith will suffer no discrimination on grounds of race, age, gender or sexuality. Everyone is welcome as long as they have a genuine interest in the religion. Hrafnar: San Francisco Bay-area kindred open to all who feel a spiritual affinity for the religious tradition of Northern Europe. Freya Aswynn's website: Runes and Heathen spirituality. Buy e-copies of Kveldulf Gundarsson's Asatru books, and download interesting articles. Icelandic Saga Database: The Sagas of the Icelanders online! Great for Asatru/Heathen research! Uncle Thor's Trollwise Press: Common sense books on Asatru/Heathen topics. Northvegr: Online Asatru/Heathen web resource promoting cultural diversity and intercultural dialogue. Kveldulf's Loki Article: Loki's Role in Northern Religions reprinted with permission from the author. 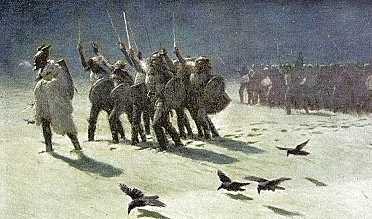 Vinland Archaeology: Archaeological evidence of the Viking settlements in North America. Archaeology Magazine "First Vikings" article: Interesting article on the archaeological remains of a Viking warship. Viking Archaeology Blog: The blog for the University of Oxford Online Course in Viking Archaeology. Great resource for Asatru research! Ryan's Desk: A blog on Asatru, philosophy and politics. The Troth Blog: The Troth's Heathen blog. Heathens Against Hate Blog: A blog actively striving against racism in Heathenry. Grumpy Lokean Elder: Advice and information of interest to Heathens. Wild Hunt: A blog of current events/issues/topics of interest to Pagans and Heathens. Heathens Against Hate: Defending the Asatru/Heathen religion against racism.